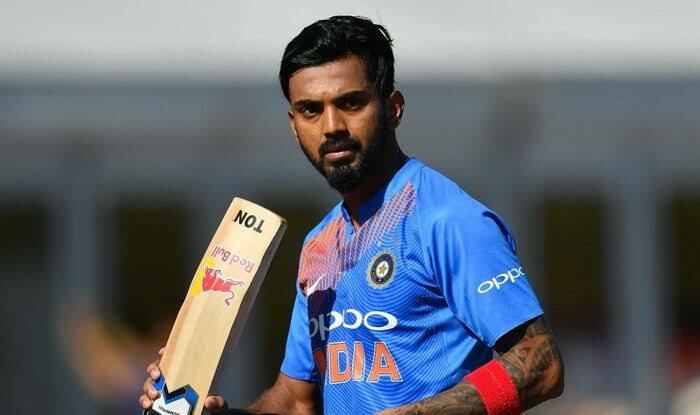 K.L Rahul full name is Kannur Lokesh Rahul. He is an Indian cricketer. He is very talented and plays as a right-handed batsman and sometimes also makes wicket-keeper. He plays internationally for India, in first-class cricket he represents the team of Karnataka and Kings XI Punjab in the IPL. He started his career in the 2010 U-19 World Cup, and he started his career in different matches. First of his centuries against Australia. Where he became a brilliant player in the history of Indian cricket. He scored the fastest fifty in the Indian Premier League for 14 balls against Delhi Daredevils. He was born in Rajeswari, Mangalore on 18th April 1992. K.L. Rahul father's name is KN Lokesh. His father is a professor of civil engineering and college dean. Rahul's mother's name is Rajeshwari and she is also a professor from the profession. He has the only sister is small for him by the name of Bhavna. Rahul grew up in Mangalore city in India and completed his schooling at NITK English Secondary School. He has studied intermediate from Sri Bhagwan Mahavir Jain College. He got a Bachelor degree in Commerce. When Rahul was playing cricket at his young age, his parents came to know that he is very interested in cricket; So he decided to continue his passion for Rahul. He sent Rahul to formal training at the age of 11. Rahul was a silent player at the age of 18. He firmly decided that he could make his place in the international team. Therefore, he continued his studies with the cricket went to Bangalore and pursued his career at Jain University. And then after a short period, he became a professional cricket player. KL Rahul made his first public appearance on the ground in the 2010-2011 session. In domestic cricket of India he played under the South Zone campus and represented himself in the last match of the Duleep Trophy in the year 2014 to 2015, the match was against the Central Zone team but in any case he scored 9 runs Defeated by, the working batting line-up made him the man of the match. Rahul's boundless capabilities made him run fast forward to make the ranks so that he started off, and his good performances made him a great head because he is quite young but he is a great cricket player. Rahul is currently in a relationship with Alixir Nahar, he is an anchor, producer and marketing associate. Rahul started his career as an Orthodox Test batsman and got his training from the Karnataka State Cricket Academy. He considers Rahul Dravid an ideal model for himself. He was the first Indian batsman to be dismissed on the first ball of T-20 International. K.L Rahul made his performance power fast by scoring centuries in all three formats of international cricket.